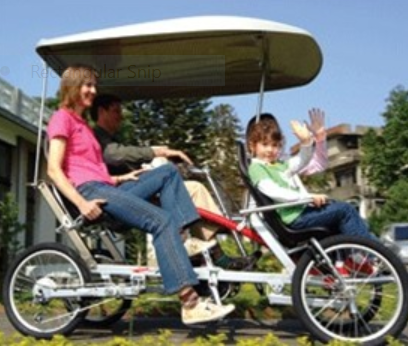 The Pacific Cycle 2Rider is actually a quadcycle that is designed for two or four riders depending on how you configure it. Optional front seats for kids lets you take the kids along so they can share the fun with you. 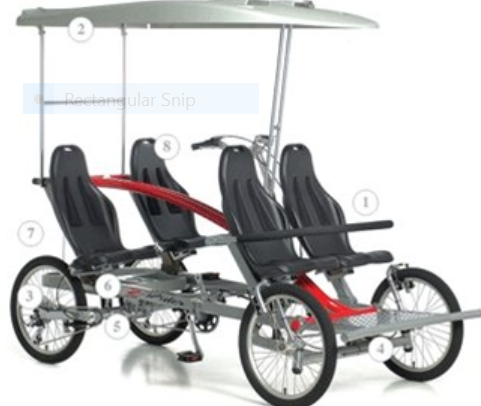 It is called a 2Rider since only the two riders in the rear actually pedal. 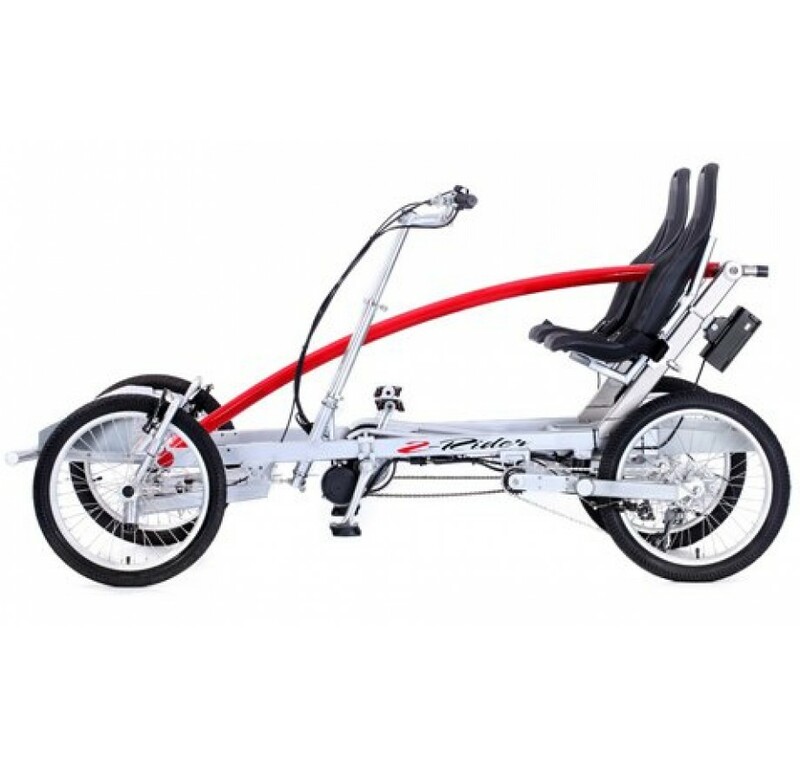 There are 2 independent systems so each of you can pedal at your own speed. The optional child seats in the front are easily attached as is the optional canopy/sunroof which can be added or removed with only two bolts.